Customers with The Moorings will now have access to a range of chartering information for the British Virgin Islands with The Moorings BVI Yacht Charter Guide app. The interactive app will provide charterers with essential information on cruising the BVI and is a preliminary resource before starting a trip as well as a go-to throughout the charter. The app gives access to detailed boating regulations and navigation plus valuable information on BVI dining, safety, and history. In addition to providing a range of cruising and island facts, the app will also offer the opportunity to take your BVI Chart Briefing online. 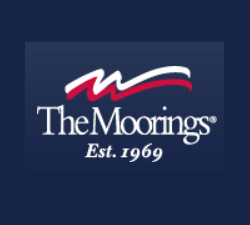 The Moorings has partnered with sailing school NauticEd to enable customers who have taken and passed the app’s accompanying test to benefit from a fast checkout. The online test, which is optional, covers topics such as navigation, weather, and permits, which are encompassed in the app’s various sections. Once the test is completed and passed; a certificate will allow customers to start their journey earlier. The BVI app is free of charge to all customers of The Moorings and is available on any iPad through the App Store.